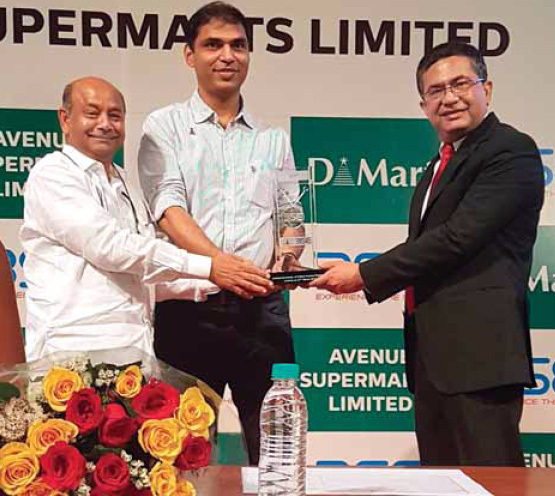 AVENUE Supermarts’ business model seems to be on a shaky ground by its own admission; there seems to be some form of a ‘satta’ in the movement of the stock and the investors have absolutely no idea of what the firm will do with the Rs. 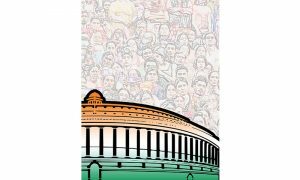 1,900 crore it raised from the public in an issue that was oversubscribed 106 times. In stock market circles, he was known as the bugbear of the Big Bull, Harshad Mehta, who was embroiled in a scandal in early 1992. 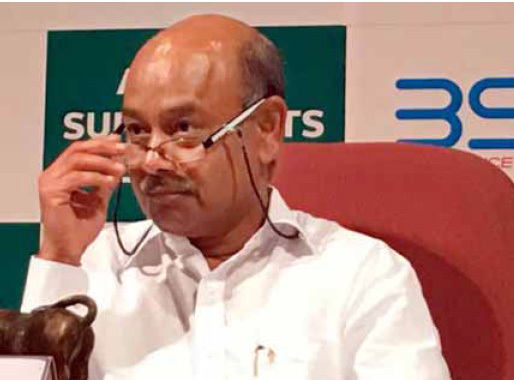 One of the reasons for Mehta’s failure was none other Radhakishan Damani, one of the astute stock players. Like most stock brokers, Damani was bullish on the market until February 1992. At that time, Mehta was King of Stocks; the whisper that he was thinking of buying a stock would send it exploding in the valuation stratosphere. At that stage, Damani went short, even as Mehta pumped in huge sums to buy stocks. The prices, as well as the index, zoomed. As the market rose, Damani increased his short positions, i.e. sold without possessing the shares with the intention to square them off once prices tumbled. They didn’t. Damani was trapped; his losses were huge and if the prices continued spiraling northwards, he would have gone bankrupt. But there was a silver lining ahead. 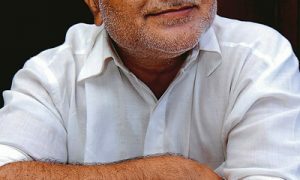 Mehta was caught up in a payment crisis; media reports about his problems became public knowledge. The markets tanked, even as the news of Mehta’s scandalous machinations—using money from the banks and other finance companies to invest in stocks—destroyed him. Damani was saved; in fact, he earned a bonanza. One can say he was lucky, or that he had a whiff of role to play in the Mehta’s downfall. One will never know but, after this episode, Damani was recognised as the wizard of the stock market. Six years later, he trapped the former Big Bull again in a similar bull-bear tussle. After 1998, the stock broker vanished from the scene. Some claimed that although he understood the traditional brick-and-mortar companies, he couldn’t figure out the bizarre valuations of the technology firms. However, he left behind his stock protégé—Rakesh Jhunjhunwala, who is now acclaimed as the new Big Bull. Damani receded, but he was quickly on to his next big thing. HE shocked global investors, when Avenue Supermarts Ltd (ASL), a retail chain promoted by him, listed on the bourses. The stock price shot up to more than twice the issue price, and closed at Rs. 641, up from the price of Rs. 299 paid by the subscribers to the issue. Given his holding, and those of his family members, along with his investments in other companies, he became the 17th wealthiest Indian, ahead of renowned business persons such as Anil Agarwal (King of Metals), Anil Ambani (King of Ring), and Rahul Bajaj (King of Road). Media reports indicated that the market capitalisation of ASL that day was almost Rs. 40,000 crore (over $6 billion), and it became the country’s 65th most valuable firm, ahead of Britannia Industries and Marico. To provide a comparison about the change in his fortunes, Damani was ranked 98 in the 2015 Forbes India Rich List with a fortune of a mere $1.15 billion. The ASL listing, and the higher prices of his other holdings, took his wealth to almost $15 billion. However, a few critics question the high valuation of ASL—on June 26, 2017, the stock closed at Rs. 803—for various reasons. 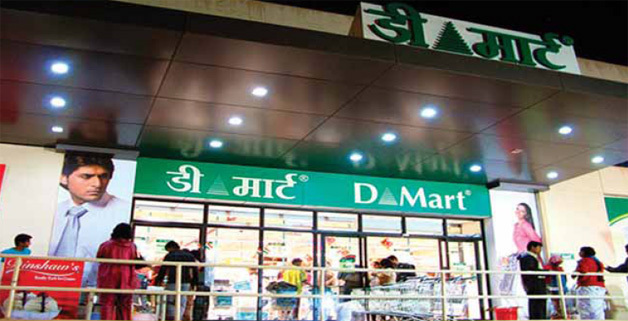 These include the business model of the chain, which runs D-Mart stores, lack of credibility in the manner in which it is likely to spend the public issue proceeds and linkages with influential brokers and stock market community. According to Technopak, ASL is the largest and most-profitable F&G (food and grocery) retailer in the country. With 112 stores and 21 distribution centres as in September 2016, its annual revenues rose from Rs. 4,700 crore in 2014 to Rs. 8,600 crore in 2016. Net profit doubled during the same period—from Rs. 161 crore to Rs. 321 crore. According to the company, it’s the second largest retail chain in the country, after Bharti-Future Group, and ahead of Reliance Retail. In terms of retail productivity and profitability, ASL is way ahead of its competitors. For example, its sales per sq ft per annum ranges between Rs. 28,000 and Rs. 30,000. The figures for its larger competitors are between Rs. 17,500 and Rs. 18,500 for Reliance Fresh and between Rs. 15,000 and Rs. 15,500 for Big Bazaar. However, one has to remember that retail in India is largely driven by cash purchases. There are other issues with the business model. Three-fourth of the stores are located in just two States, Maharashtra (58) and Gujarat (26). The two States account for four-fifth of the annual revenues. Obviously, any disruptions in these two regions can severely impact the revenues and profits of the retail chain. Political, social and economic turmoil in any of these two States can wreck the business model. ANOTHER problem is ASL’s undue dependence on the foods category. Over 50 per cent of the sales come from groceries, fruits and vegetables, snacks and processed food, dairy and frozen products, and beverages and confectionery. 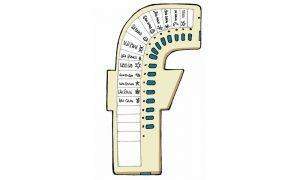 Most of these items have an extremely short shelf life, and require precise, just-in-time inventory management and procurement. This needs top-quality logistics. However, the company itself has detailed out the gaps in its operations. For example, it admits that it doesn’t have any “in-house transportation”. More importantly, there are no written agreements with the transportation services that it uses. Worse, there are no long-term supply deals with the suppliers, and the company purchases the various products on a short-term basis at market prices. 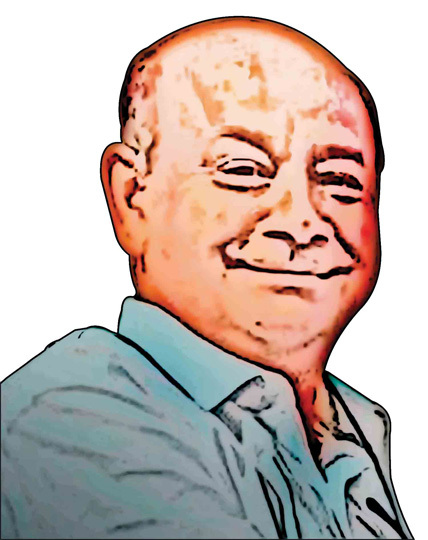 Radhakishan Damani is the quintessential Mumbai broker of the 1980s. He went long and short and made money when the prices of certain stocks went up, and when those of certain others came down. His mentor, or guru, was the legendary Manu Manek, who was fearfully nicknamed the Cobra because of his colour and venom. If the Cobra raised its head, it spelt death knell for those who opposed him. And Manek was also the Big Bear, whose hugs were dreadful as he shorted stocks that he thought were priced too high. Like Manek, Damani took on the Mumbai’s bulls, especially the Big Bull of the late 1980s and 1990s, lost several battles, but won the war when Harshad Mehta was engulfed in the infamous Securities Scam in 1992. The Bear had demolished the Bull in 1998. In both the cases, Damani thought the valuations were too high and had to come down. Before 1992, he and the members of the bear cartel were almost wiped out by Mehta’s unending money supply from the banks, which enabled him to keep on buying, and take prices to new highs. But then Damani could easily turn into a bull himself. This he did when he bought a substantial stake in Gillette and HDFC Bank. The latter purchase has become a part of stock market legends. When a friend asked him, why he would buy HDFC and not a large bank like the State Bank of India, he retorted, “Dharavi will be Dharavi and Pedder Road will be Pedder Road.” On paper, he referred to the city’s slum, which is the largest in Asia, and the posh colony. What he meant was that HDFC had more chances to increase its market cap, which it did. During the late 1990s and early 2000s, and especially between 2001 and 2004, Damani seemed to have lost interest in the stock market. Some contend that he couldn’t understand the valuations of the technology stocks; others claim that he wished to turn into an entrepreneur and earn real money, instead of converting paper into profits. 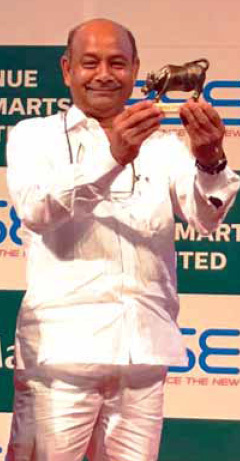 He promoted the retail chain, D-Mart, in 2002 and, within 15 years, transformed it into the largest and most profitable food and grocery chain in India. Yet another chink in the armor is ASL’s human resource strategy. It doesn’t believe in full-time employees, and “most employees” are on contractual basis. While this may reduce costs, it leads to in-built instability in the business operations. Several Indian companies have faced issues related to temporary workers in the recent past. In September 2016, it had just over 4,000 regular employees; its turnover-to-employee ratio was a high Rs. 2 crore per year. The company’s strategic approach depends on two critical factors—cluster expansion and all-year discounts. Under the first, it believes in several stores located near to each other, sometimes within a distance of 1-2 km from each other. While this increases penetration in an area, it also results in cannibalisation, i.e. customers stop going to a store that’s located far away and opt for a nearer one. Under the second, the company sells products at consistently-reduced prices throughout the year. Thus, there are discounts on all the products every day. This is unlike the business approach of the other retailers, who offer massive discounts on specific products in specific periods, like holidays and festival seasons. This puts a higher pressure on ASL in terms of procurement, inventories and logistics. ASL’s was one of the most successful public issues in recent times. The subscription and the listing of the stock proved it. However, there are question marks on how the funds will be used by the company. The general information is available—the money will be used to pay off debt, expand the number, and venture out into new States to reduce the dependence on two States in West India. HOWEVER, as the company itself divulged, no external expert agency, including banks, have conducted an appraisal of the issue, or a detailed analysis of the expenditure categories. Similarly, the company has neither identified locations of the new stores nor has it placed any orders for the proposed expansion. In addition, the company has merely based its broad expenditure in the future on what it has spent in the past, which has to be outdated and irrelevant. Therefore, as the company admitted in its prospectus, it may need to “vary the objects of the issue in the near future”. If the cost of setting up a new store increases, it may have to allocate more funds to the expansion, and lesser to the other categories. Clearly, it shows that ASL hasn’t done its funds-use exercise in a comprehensive manner, and may have been in a hurry to come out with the issue. There are other points that the investors have to remember. Despite the highest profitability in terms of margins among the larger retail players, the company hasn’t paid any dividend till now. One can surely justify this by saying that there was no need to do so as, prior to the issue, all the shares were held by the promoters. What’s more crucial is that the group hopes to venture into e-tailing in the near future. Although e-tailing is growing quite fast in the country, the group’s entry can hurt ASL’s physical retail business. There is intense competition within the e-commerce segment and several companies have burnt their fingers after the initial and quick successes. In May 2017, Japanese investor, Softbank, wrote down its investments in online marketplace, Snapdeal, and cab aggregator, Ola, by a huge $1.4 billion. In its earnings report, the investor said, “Loss on financial instruments at FVTPL (fair value through profit and loss) was Yen 160,419 million ($1.4 billion) compared to a gain of Yen 114,377 million ($1.1 billion) in the previous fiscal year. This mainly resulted from recording a loss as the amount of changes in the fair value of the company’s financial instruments at FVTPL from the previous fiscal year and to the fiscal year-end.” Clearly, the valuations of Snapdeal and Ola crashed. Once ASL was listed on the bourses, powerful brokers and investors whispered that the price would jump over 65 per cent and soon cross Rs. 1,000 within a few months. It looked feasible as the price crossed Rs. 800 within a few weeks. Since May 5, 2016, it took a downward dive, and came down to Rs. 708 in just over two weeks. Then it climbed upwards to cross Rs. 800 again. However, over the past three months, the movement and volatility hints at certain mindset of the investors. Each time, the price has reached Rs. 800, or nearer to it, a group of investors have cashed out. And when it settled at around Rs. 700, a fresh buying spree began. This happened thrice in three months, which may seem to be a deliberate strategy among a set of investors. Although we don’t know for sure, one needs to watch the price movements over the next few months to get a clearer idea. BUT there’s no denying the fact that Damani is the Master of the Markets. He knows price swings, and when to buy and sell, like no other investor in the country. More importantly, he has powerful broker friends, including Jhunjhunwala, who still can sway the Indian markets. Another sidelight: CB Bhave, the former chairman of the stock market regulator, SEBI, is on ASL’s board of directors. It will be unfair to claim that there’s any hanky-panky in the movement of the stock. However, investors need to keep a close watch on it. Over time, it will be easy to decipher a pattern, if there’s any. But one thing is sure: if the stock crosses Rs. 1,000, Damani’s net worth will zoom, and he is likely to crash into the top 10 list of wealthiest Indians. His is a brilliant case study of the transition from a broker to a leading entrepreneur.